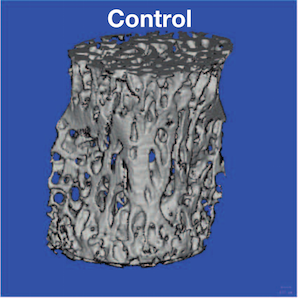 Using extensive genetic data compiled by the UK10K project, an international team of researchers led by Dr. Brent Richards of the Lady Davis Institute at the Jewish General Hospital has identified a genetic variant near the gene EN1 as having the strongest effect on bone mineral density (BMD) and fracture identified to date. The findings are published in the forthcoming issue of the prestigious journal Nature. “EN1 has never before been linked to osteoporosis in humans, so this opens up a brand new pathway to pursue in developing drugs to block the disease,” Dr. Richards, an Associate Professor of Medicine at McGill University, says by way of explaining the importance of the discovery. “The effect of this uncommon genetic variant that we identified in this gene is twice as large as any previously identified genetic variants for BMD and fracture,” adds Vince Forgetta, first author on this collaborative project from the Genetic Factors for Osteoporosis Consortium, and a Research Associate at the Lady Davis Institute. 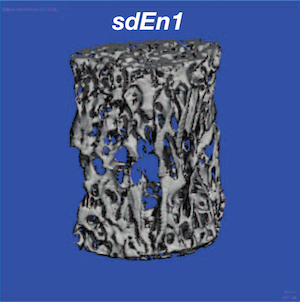 “Whole-genome sequencing identifies EN1 as a determinant of bone density and fracture” by J. Brent Richards et al, Nature, on-line September 14, 2015. See also, “The UK10K project identifies rare variants in health and disease,” Nature, September 14, 2015.